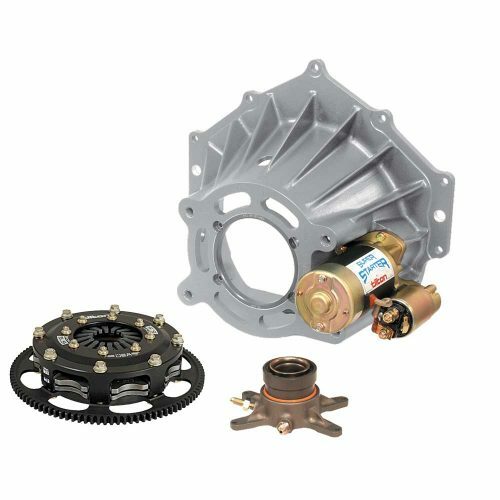 52-Series 5.5” driveline packages feature a family of matched components to offer the highest level of performance and reliability. Designed for applications that require a compact bellhousing for maximum ground clearance, rear-mount starter, small diameter flywheel, and a 5.5” clutch. 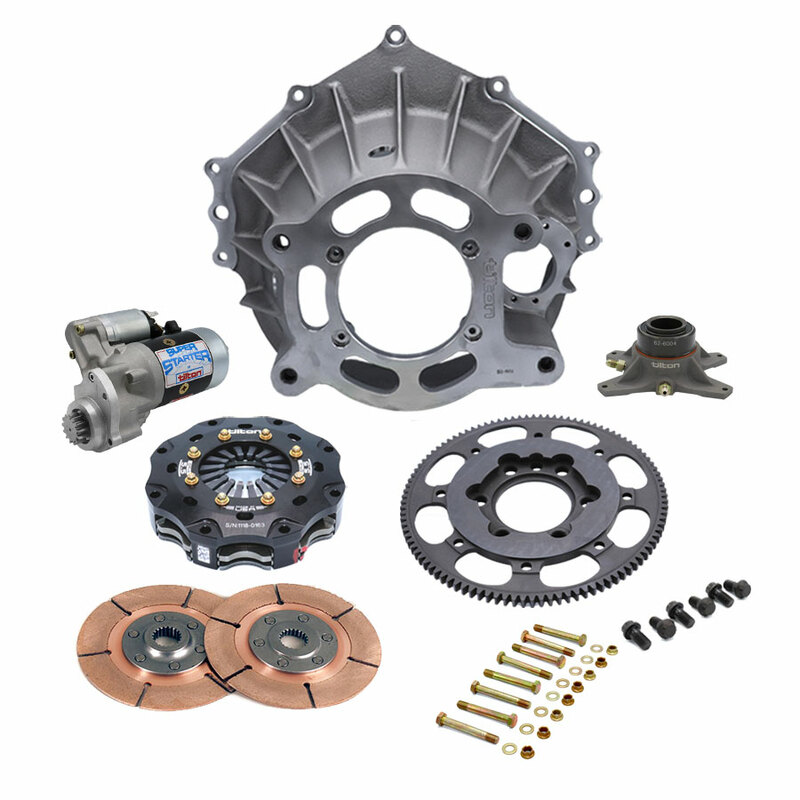 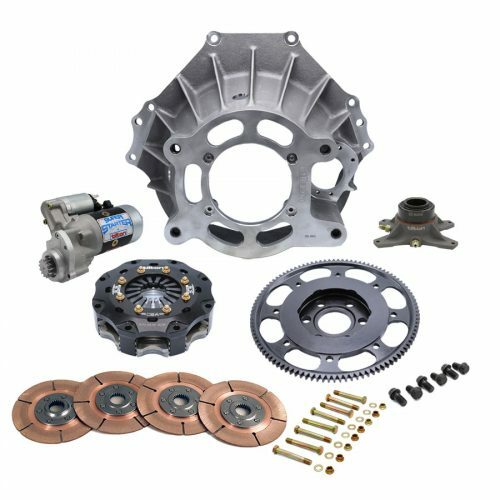 Includes: bellhousing, flywheel, clutch, disc pack, hydraulic release bearing, Super Starter and related hardware. *For use with 1/4″ mid-plate between engine and bellhousing, such as Asphalt Modifieds. 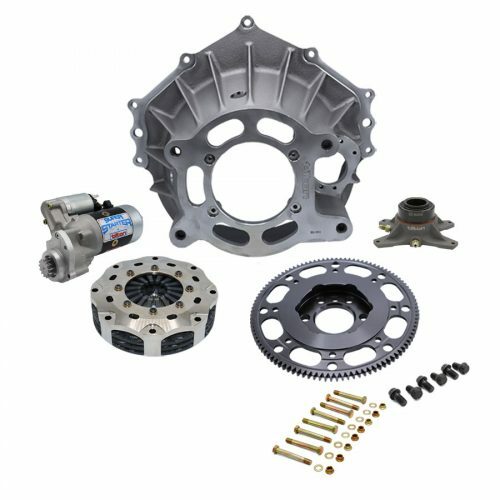 Note: All packages are designed for use with transmissions that have a Chevy bolt pattern and a 1 5/32″ X 26 spline input shaft.